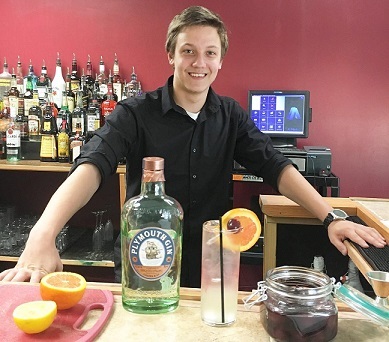 Matt Creating A Delicious Thom Collins! We delve into the most commonly ordered cocktails with a focus on various serving techniques, lightly touching on spirits ranging from vodka, to gin, to rum, and more. Here are your Rum & Cokes, Screwdrivers, and Tequila Sunrises. 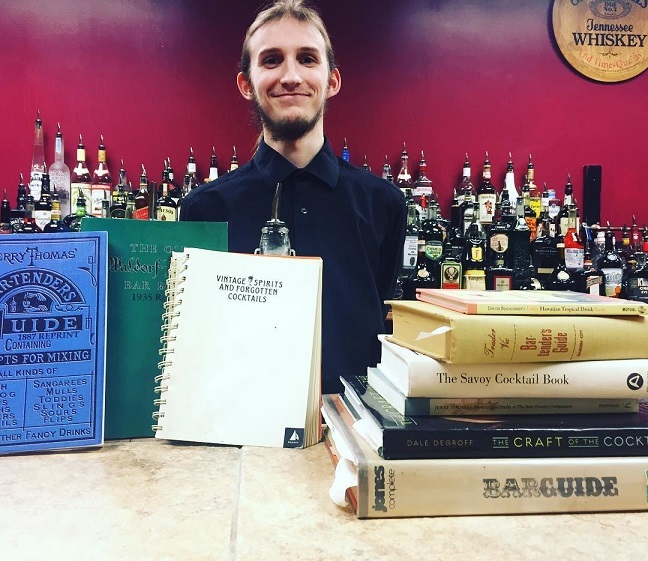 Increasing in complexity and diving into the rich history of cocktails and cocktail culture, we travel back in time 200 plus years to uncover the cocktails known as the classics that are making a strong comeback in today’s bar scene. We take a deeper dive into gin and study a variety of cocktail crafting techniques. You’ll find the classic Martini and your Old Fashioned right at home here. This delicious assortment of cocktails focus on those refreshing citrus and sour based cocktails including Margaritas, Daiquiris and more. We take a deeper dive into Rum with additional concentration juices, garnishes, and making sure that your flavors and tastes are balanced within your cocktail. Your taste buds will thank you as we begin to understand the role of complementary and contrasting flavors and tastes in crafting cocktails ranging from salty to bitter to umami and more! We cover cocktails such as the Toasted Almond and The infamous Bloody Mary! Get ready to party. This week will take us through a busy night at the bar focused on pouring multiple shots of standard and custom creations from Chocolate Cake Shots to Lemon Drop Shots to Kamikazee Shots and more! We focus on speed and efficiency during the intense and fun week.